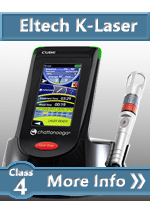 A true story of how a customer forced her insurance company to pay for a laser. 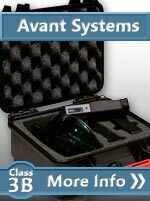 Warning: The following article is pubished here because we are often asked if a home user can get an insurance company to pay for a home laser system. It is possible but it is very difficult. We are not recommending this action but letting everyone know about how insurance denies claims that might not stand up in a court of law. 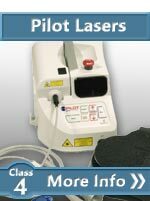 This is a true story about map carving a Medicaid insurance purchase of a FDA Class II Low Level Laser priced at $12,995.00 retail acquired from ColdLasers.org in 2015 AD. 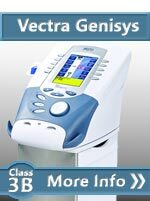 My doctor wrote a prescription ordering a Low Level Laser Home Unit (LLL) for laser therapy treatment of carpal tunnel involving nerve degeneration, chronic intractable pain, and dominant hand paralysis. I took the prescription down to my local network provider for Durable Medical Equipment (DME). On my behalf, they submitted the prescription and prior authorization request for insurance approval under Medicaid medical insurance in Washington State, coding the laser under the Miscellaneous Equipment Code. 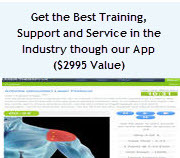 Successful professional treatment dictation from Low Level Laser therapy (LLLT) (cold laser) providers was also included. My Insurance Company promptly denied the request on the basis of “not safe, not effective, and investigational”. Consequently, I issued an appeal for reconsideration, complying with the appeal time limitation of ninety-days, and additionally submitted researched medical publications totaling one-hundred and eight pages demonstrating ‘patient’s positive outcome results’ research on LLLT. This 2nd appeal action then activated the pathway for another insurance doctor to review the request a second time. Yet again, my insurance denied the purchase on the same basis, but this time added their source of ‘rating authority’, which originated from a private sector company named ‘Hayes’. This was all I needed to defeat them in an adjudicated litigation in the Appeals Judiciary with an Administrative Law Judge (ALJ), known as the grievance system as the first tier into both federal and state court actions. I commenced this filing action forthwith, and filed an appeal brief shortly thereafter. The case was assigned to an ALJ with a hearing date set, the Health Care Authority (HCA) issued a notice of appearance of their attorney, and the appeals insurance representative was named. We were all ready to start the scheduled hearing, which never came to pass. My legal brief addressed the heart of the insurance objection, Low Level Laser is deemed “not safe, not effective, and investigational”, a ‘phrase determination’ allowing insurance companies to deny claims, instead of pay them under the ‘medical necessity to treat pain and suffering authority’ found in the federal regulations as well as state law. I will summarize here the steps and requirements showing how to, resulting in the why my insurance company settled prior to the hearing on my brief submission alone averting a published precedent for everyone to know, which then brings us to the heart and soul of this article. We shall stand tall in our truth sharing to all those listeners. e) Provide data that would be directly used in the management of a beneficiary specific medical problem. Secondly, the fatal ‘denial legal error’, Medical Device Equipment is not regulated from the private sector as asserted by my insurance company in their ‘denial reliance upon Hayes’. In fact, medical devices in all U.S. states are federally regulated under USCODE-2010-Title 21 ? Food and Drugs, Chapter 1 ? Food and Drug Administration (FDA), Department of Health and Human Services (DHHS), Subchapter H ? Medical Devices, Part 890 ? 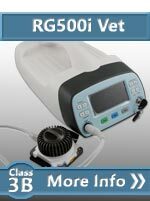 Physical Medicine Devices, Subpart F ? 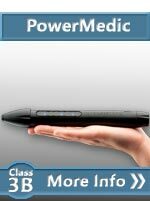 Physical Medicine Therapeutic Devices. 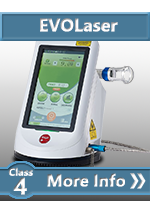 Low Level Laser(s) classification designation, description is regulated by Sec. 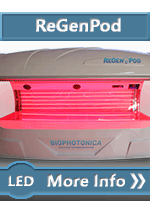 890.5500 Infrared Lamp. (a) Identification. An infrared lamp is a device intended for medical purposes that emits energy at infrared frequencies (approximately 700 nanometers to 50,000 nanometers) to provide topical heating. (b) Classification. Class II (performance standards). (Citation: 21 CFR 890.5500.) 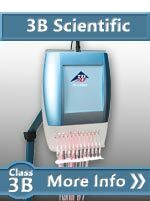 FDA Approval of Low Level Laser Devices is regulated under a 510(k) FDA determination approval, requiring Clinical Trials and Non-clinical Evidence establishing them as “safe and effective, not investigational”. (Citation: 21 CFR 807.92.) To affect this FDA medical device approval, a state must apply to the federal government for a medical device exception, which are published online by state, (Citations: § 360k 21 CFR, § 808.97 21 CFR Ch. I (4?1?12 Edition). A FDA 510 (k) approval application is a premarket submission made to FDA to demonstrate that the device to be marketed is at ‘least as safe and effective (SE)’, that is, substantially equivalent, to a legally marketed device (21 CFR 807.92(a)(3)) that is not subject to Premarket approval (PMA). Submitters must compare their device to one or more similar legally marketed devices and make and support their substantial equivalency claims. A legally marketed device, as described in 21 CFR 807.92(a)(3), is a device that was legally marketed prior to May 28, 1976 (pre-amendments device), for which a PMA is not required, or a device which has been reclassified from Class III to Class II or I, or a device which has been found Safe and Effective (SE) through the 510(k) process. The legally marketed device(s) to which equivalence is drawn is commonly known as the "predicate." Although devices recently cleared under 510(k) are often selected as the predicate to which equivalence is claimed, any legally marketed device may be used as a predicate. Legally marketed also means that the predicate cannot be one that is in violation of the Act. 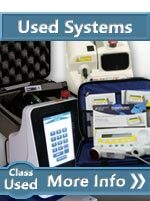 FDA Classification of Class III and Class IV Low Level Laser Home Use Units are approved under 510 (k) or by Clinical Trials and Non-Clinical evidence with a reclassification as a Class II designating them as non-investigational as opposed to a Class III, which is the FDA classification of investigational. 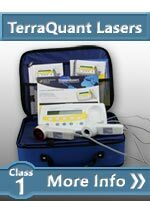 Between 2002 and 2004, the Food and Drug Administration (FDA) granted 510(k) approval to several companies to market lasers that provide Low Level Laser Therapy (LLLT). The Low Level lasers are classified under “Lamp, Non-heating, for Adjunctive Use in Pain Therapy”. Finally, the third paramount issue must address “effective cost control and delivery strategies”. A very persuasive argument both upon insurance companies in business to make a profit for themselves, but further are mandated within state statues held to administratively enforce these avenues lowering the cost to the state and federal government for healthcare. In my own audit analysis, I addressed my history of receiving LLLT from two hospitals, at distance of 40 miles, and 64 miles, respectively, for Occupational (OT) and Physical (PT) therapy. Therapy was limited by the hospitals to only two therapy visits per week in both OT and PT, each about 35 minutes each. Therapy cost was analyzed using the actual average insurance ‘reduced contract cost payments’ to the hospitals, (leaving hospitals with a huge write-off), to the Low Level Laser Home Unit. 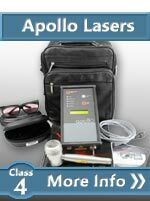 The hospital cost analysis reflected low level laser treatment cost of $651.72 per month for both hospitals, using a low wattage Class II, 3b low level laser, with very limited joules as compared to an FDA approved Class II, Class IV low level laser. Whereas, the Low Level Laser Home Unit costs an average of about $99.96 per month. This comparative cost analysis established a cost savings of $551.76 per month, along with expanded attributes such as unlimited treatment time, increased joules delivery over a shorter time, and unlimited availability for frequency of use utilizing the Low Level Laser Home Unit. This analysis drastically demonstrates unequivocally meeting a ‘cost effective and delivery burden strategy. Once all three burdens of argument are met as detailed above, one’s insurance company is compelled by law to approve the purchase. In reflection here, my professional background as a former national federal disaster response program director, fiscal officer, auditor allowed me the map carving vision to prevail here. Yet, I would be totally amiss if I did not also mention my successful execution of the acquisition of my Low Level Laser Home Unit was also monumentally made possible by the unwavering cooperation, expertise, and overall support of Ken Teegarden of ColdLasers.org to whom I am eternally grateful and can warmly call my friend. It is imperative that one can trust, rely upon, and work with their marketer and manufacturer to evolve this effective, safe, non-investigational therapy, which for me performs in the criteria context exactly as required for approved by the FDA.